On January 31 and February 2, I held screenings of Birth As We Know It in Berkeley and San Francisco, California. Only the day before the Sunday screening did we realize that we were competing with Superbowl Sunday - ha! Who has time to pay attention to American sports when they are busy with the most important work on Earth today? Angie of MamaKai made the free gatherings possible! Her organization educates and supports her community through free online teleseminars, nourishing foods classes, and much more. It was a pleasure to meet Angie and connect about how our organizations can serve each other and grow in the future. 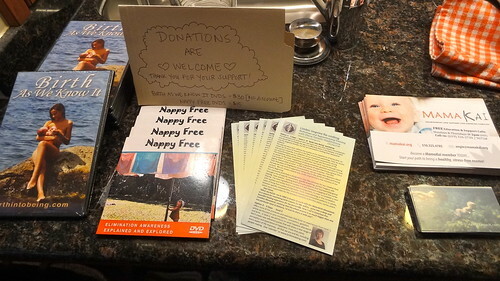 I am so grateful that she reached out to us and made these screenings possible--not to mention absolutely tasty, with herbal tea, date truffles, fresh fruit and more! Stay tuned for more screenings coming in the Bay Area from MamaKai and check out her resource library in the meantime. We had a lovely discussion after each screening. 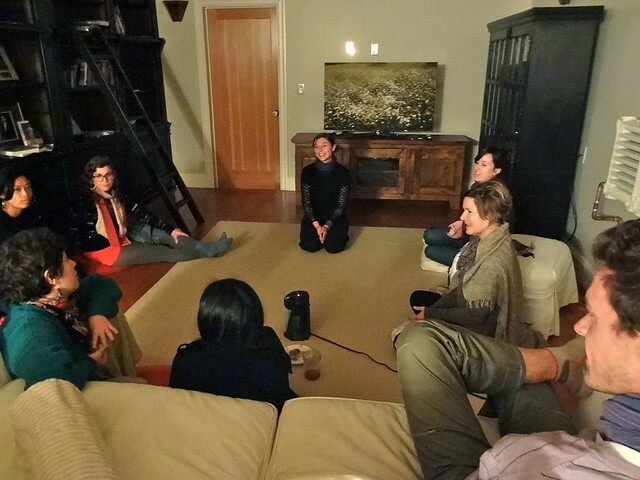 In Berkeley, we started discussing subjects such as ensoulment and circumcision during the film. Matthew, an apprentice who lives in Berkeley, commented on how the twins born through c-section were not 'in their bodies.' It's a subtle note, but very significant when one realizes how the Limbic Imprint for those humans is so painful that the soul is not present. The emotional environment that creates the Limbic Imprint acts like the glue between the body and the spirit, or the mind. The Birth Into Being Method helps people to remember how their bodies are the safest place on earth. We also discussed circumcision, and some people expressed how they feel the best path to ensuring basic human rights to babies is to make circumcision illegal. Sadly, there is currently a ban in California signed by Jerry Brown that makes it illegal to prohibit circumcision. However, in some european countries such as Germany, male circumcision is prohibited. 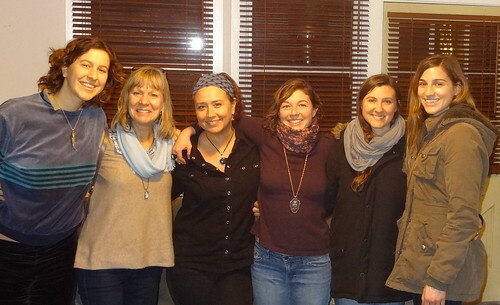 After the screening in San Francisco, Lora Hart, a birth doula and student midwife, offered a statistic that about 30% of births are c-sections in America. This article in the New York Times states that the rate varies widely, from 7% to 70% in some hospitals. However, "the overall C-section rate in the U.S. has increased from just under 21 percent of all deliveries in 1996 to nearly 33 percent in 2011, according to the Centers for Disease Control and Prevention," as quoted from this Huff Post article. A woman asked about vaccines, and the National Vaccine Information Center was recommended by Angie from MamaKai. This is an issue that I am not well informed about, but would like to learn more about. Someone offered to post their resources on the Birth Into Being Global Village Facebook page soon, so hopefully we will have more resources available soon. Angie of MamaKai shared how her favorite part of BAWKI is when the midwife of the twins shares that her favorite moment in each birth is when the woman realizes that she is really giving birth, and no one else is going to do it, or has the power to, but herself. Also, she comments on how present, calm, and optimistic the parents remain during the entire birth, and how important that is to ensure a smooth flow. Overall, I loved connecting with the amazing people who showed up with open hearts, ready to receive our message. Each time I watched the film, another layer was revealed to me. This time, I saw a clear image of the frozen emotional landscapes inside each of our own bodies, as well as the body of the earth. The work we must all do now, including the Earth, is to melt these blockages and let our rivers flow freely. Certainly, we are on the cusp of change. Thanks to everyone! The #BirthingField is active in California! Also, you can pick up a copy of Birth As We Know It from Angie of Mamakai in Berkeley or Lora Hart in San Francisco.